Specific discussion on interesting/curious auction items/items for sale online. 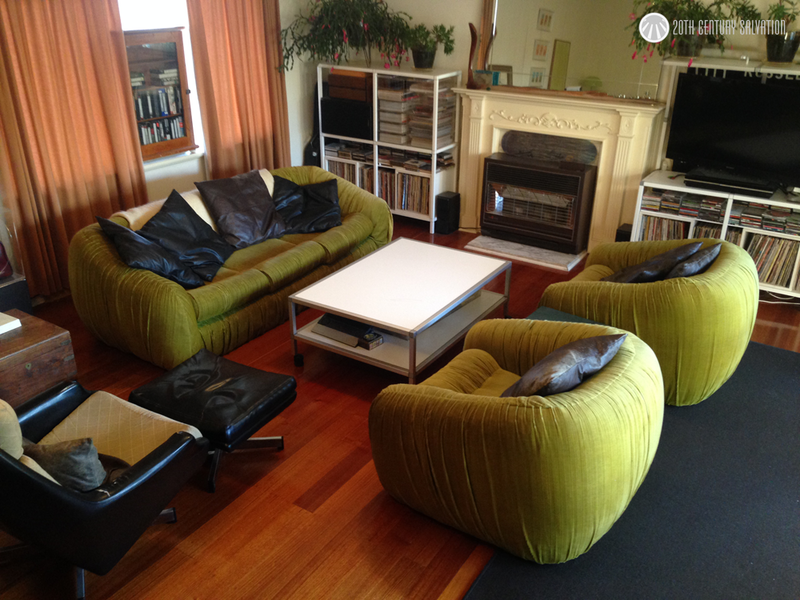 Auction Watch # 24 – Sunken Lounge Room Delight! 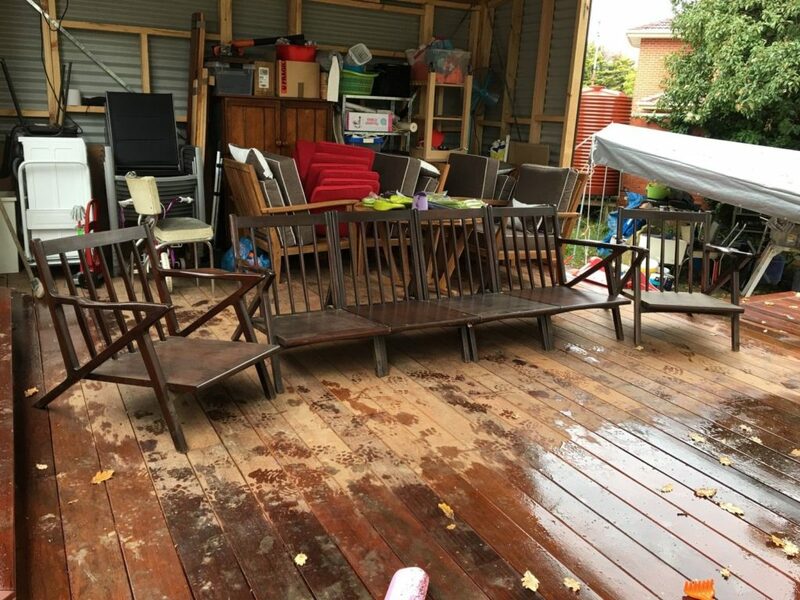 As soon as I saw this listing, the first thing that came to mind was a sunken lounge room! The first thought came into yours was ‘here he goes with his big lounge fetish again’….. But seriously though, can you blame me? How cool is this monstrosity of a lounge! Apparently it originated from the Mahogany room in Crown Casino – that might help explain it’s brown velour upholstery…….. So what are you waiting for? 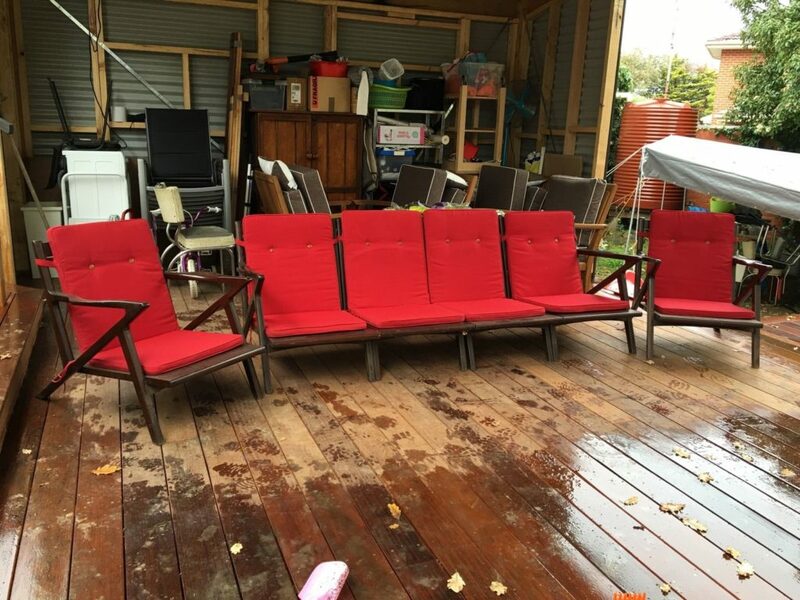 Buy now, build your lounge room around it later and then invite around 13 of your friends and converse the night away! To find, search eBay for – Large RETRO modular couch. But be quick, ending tomorrow PM with a starting price of $150! I don’t know what it is about them, but I’ve definitely for a thing for big lounges. Perhaps its the ‘look at me, I can seat 5+ people at once’ attitude that they give off, or the idea of the room it would be in and how it would be furnished that I’m attracted too, but regardless, I find them really, really cool. 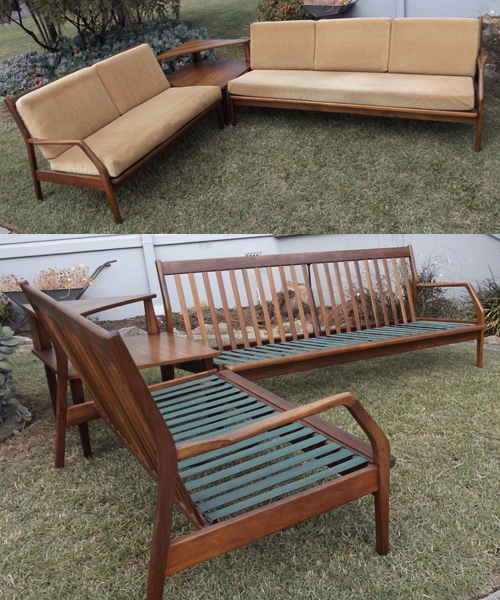 So it’s no surprise that I was impressed by this awesome corner lounge and two matching lounge chairs on eBay this week. In the right space, I think that it would look amazing! And all for the reasonable (starting price) of only $400! 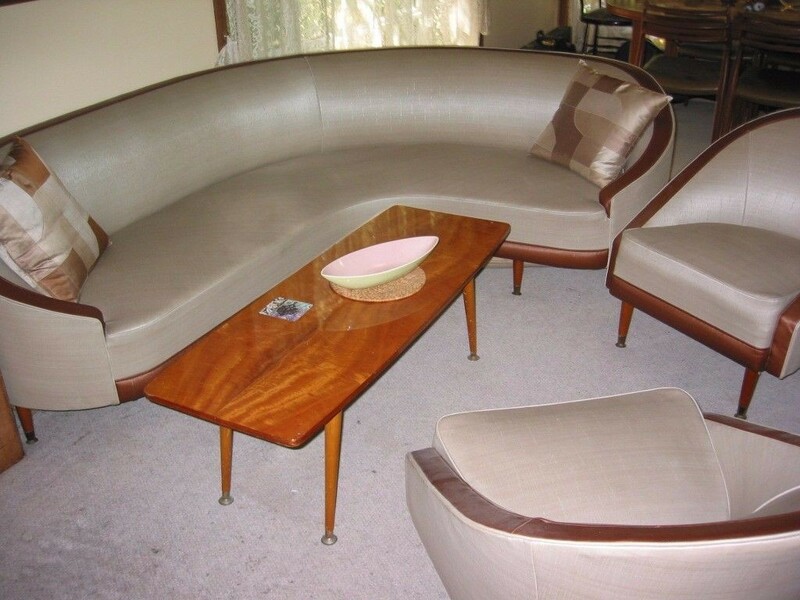 To find search eBay for – ORIGINAL VINTAGE RETRO CIRCA 1960 VINYL CURVED 3 PIECE LOUNGE SUITE MID-CENTURY. Be sure to have some strong men at your disposal and large double doors into your living/lounge room to save any heart (and back) ache! Until next time. 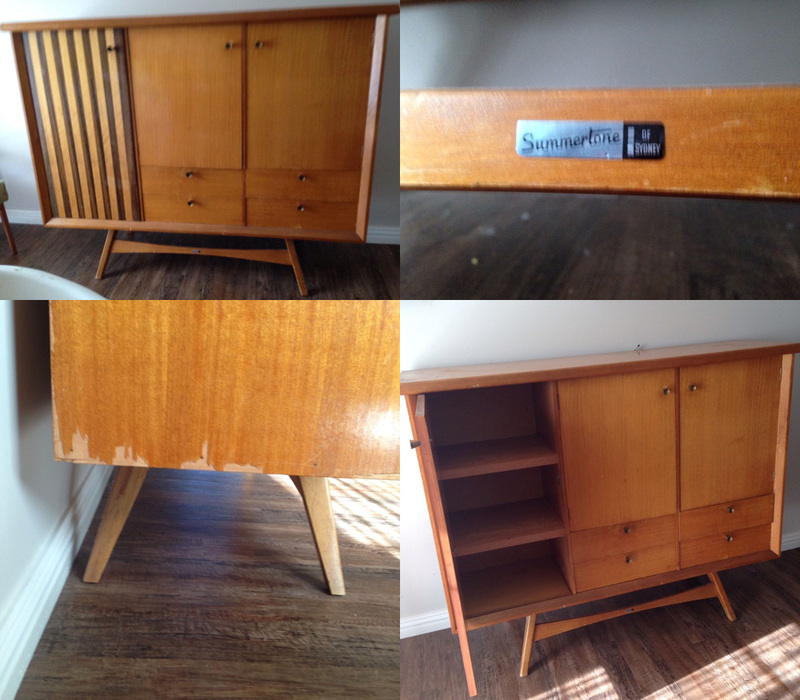 Tonight I thought I’d log a few images as reference of a Summertone buffet/sideboard currently listed on eBay. Condition is OK, but work is needed, and with a starting price of $500 I think it’s pushing the envelope a little. However I think it’s worth noting as Summertone pieces have a great design and seem to be a little harder to come across! Nice shot of the makers label – which is different to other (earlier?) versions I have seen which appear to be more so of a badge. To find – search for ‘Summertone Buffet’. I’ve had a hard time over the last few weeks finding anything of great interest to share with you for my ‘Auction Watch’ blog posts. Tonight whilst trawling all the usual haunts again I was less than impressed (hey – maybe it’s me!) 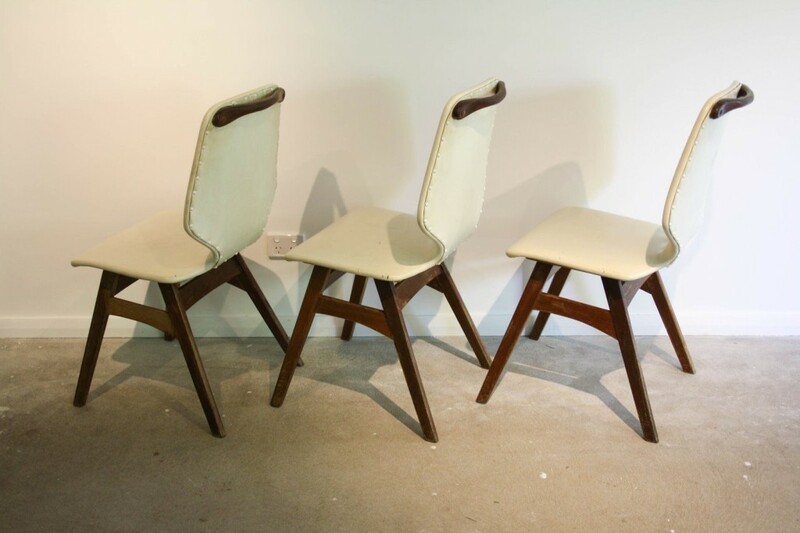 however a chair listed for sale on eBay caught my eye. 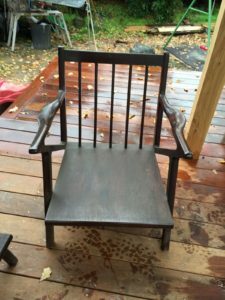 The similarity between it and my ‘Warwick library chair’ which I posted about here almost 3 years ago reminded me that I needed to post an update about the said chair in question. 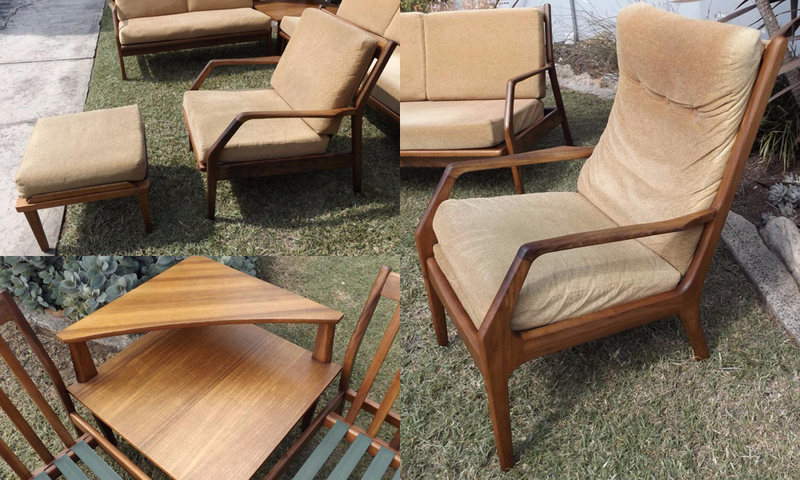 Re-reading back through Georges history myself, there is every chance that the chair currently listed on eBay (search for Atomic Wooden Silky Oak Mid Century Chair – Buy It Now $75) is an early version/prototype that was discussed in the article of the eventual ‘Volkschair’. 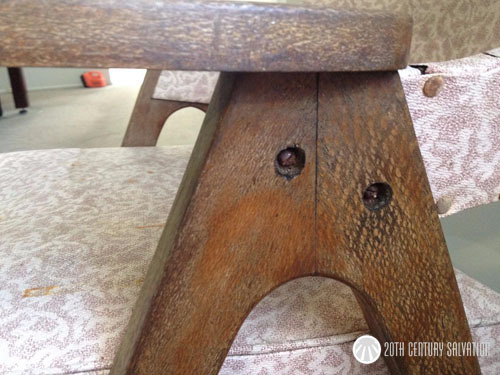 The A-frame legs and its curves looks very, very similar along with those little arm rests sitting atop. 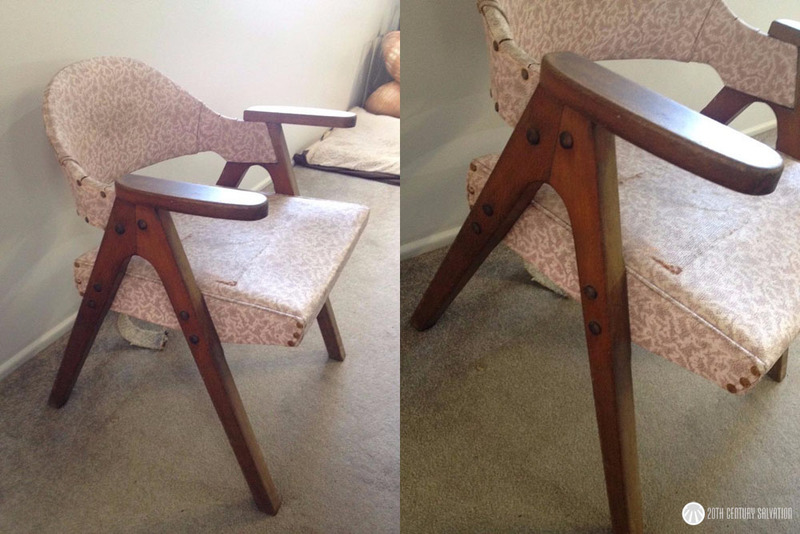 The materials used are right for the period in question (early 1950’s) and the location of the chair (Strathpine QLD) is just 20km’s north of Brisbane, where George had his store and workshop. Could these factors just be a coincidence? Possibly, and without any hard documentation or makers marks it’s just speculation! I’ll leave you to make up your own mind. Tonight I open auction watch # 20 with a well known phrase – Credit given where credit is due. What do I mean by that you may ask? 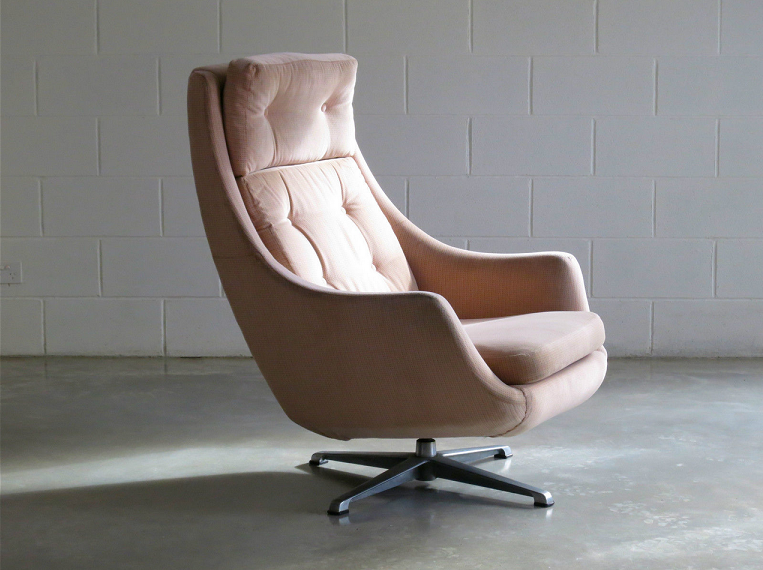 See below…..
How amazingly good is the main picture for the auction listing of a 1960’s swivel lounge chair!?! The way the sunlight is pouring through (I’d imagine a window) onto the backrest whilst creating subtle shadows and differing tones of colour on the rest of the chair is a real treat to look at. This image alone makes me want to be its new owner! 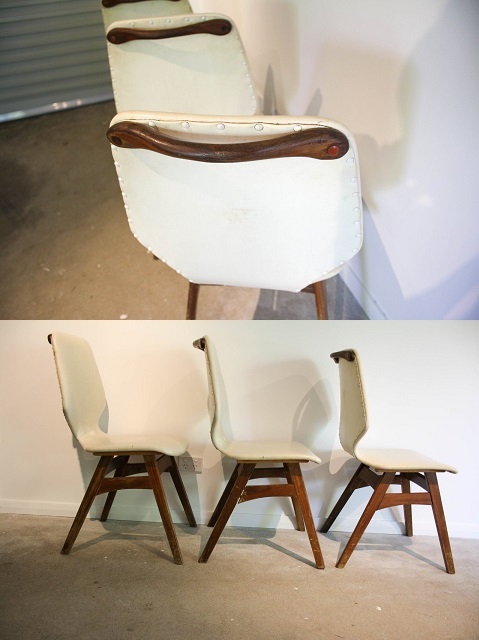 Of course there’s the great shape and design of the chair, along with the current bid – only being $71! 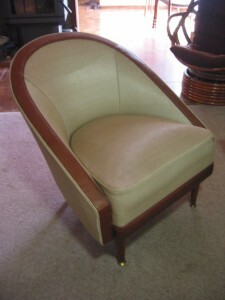 To find, search eBay for 1960s Swivel Lounge Chair, but be quick, there is just under 24 hours to go! Following on from here and here, you can see I was a little stuck on finding out any more information on a Fler lounge suite I currently have in my possession. Well, that was last week! Fast forward to tonight and thanks to Dean from Melbourne we have now solved the mystery. Dean got in contact via the contact page and advised that he has the identical lounge suite, in the original, awesome lime green upholstery. Original, Lime green Fler ‘flerbelle’ lounge suite. Yes, the single-seater tub chairs, when you sit sideways in them with your legs draped over 1 side, are just like sitting in a cloud! So you may be asking now how have we identified the lounge suite? All we’ve got is an identical suite, with no real other markings or labels, right? Wrong! Well, you see, as it turns out Dean’s parents also kept the original sales brochure! And he was good enough to send through some images of it also! 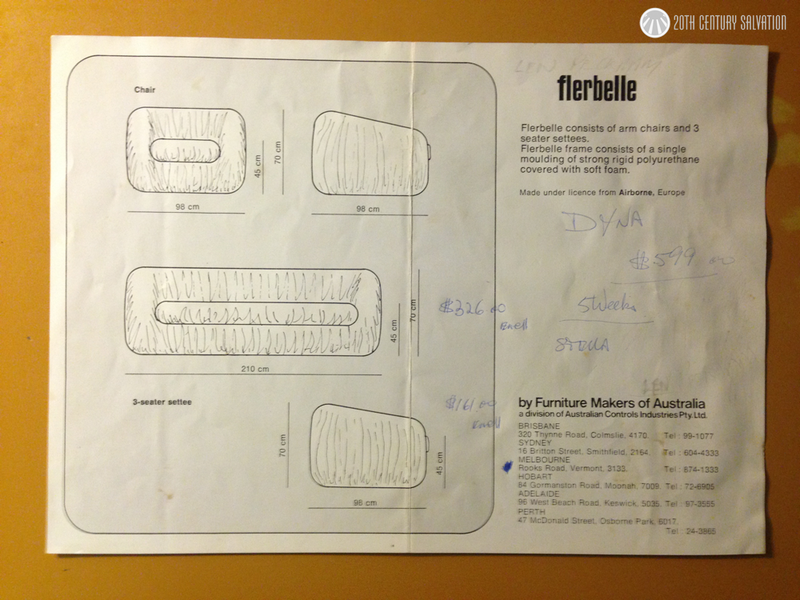 Flerbelle – In all it’s original glory! Original Fler Catalogue with pricing! So there we have it, Flerbelle – consisting of a single moulding of strong rigid polyurethane covered with soft foam. How great is the original brochure – dimensions, original pricing, original showroom image! Super cool! 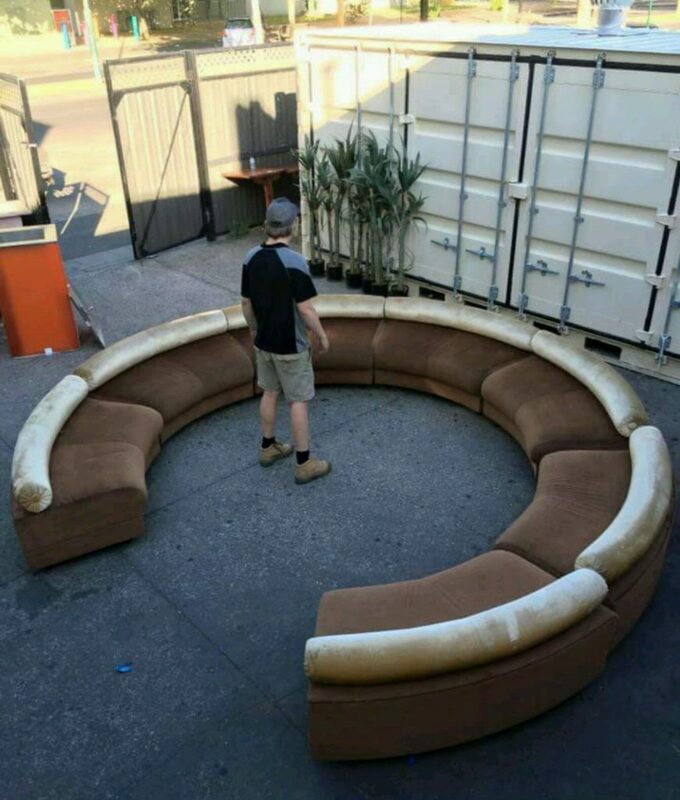 Again I must thank Dean J, from Melbourne for identifying my unidentified Fler lounge suite, without his time and effort to get in contact and send through the above images who knows how long I’d be searching the interwebs for! Hopefully it may help out others in the future with their quest for knowledge also. As it turns out that Dean is moving apartments shortly, and unfortunately the Fler suite won’t fit and he will be looking to find a new home for it. 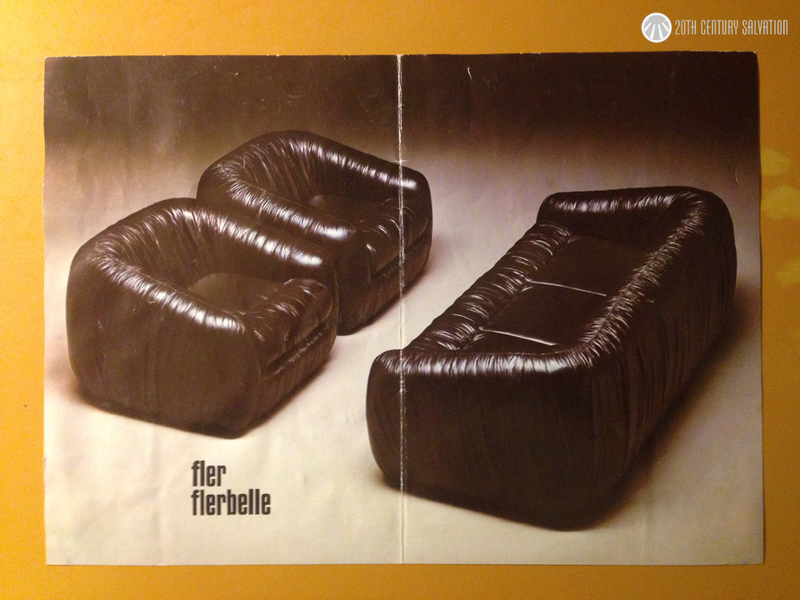 So if you’re in the market for a 1 owner, original Fler Flerbelle 3 piece lounge suite in excellent condition with the original sales brochure, be sure to get in contact and I’ll pass on your details. Came across a familiar looking sideboard on eBay tonight – albeit in a slightly different configuration to one’s I’ve posted on before. 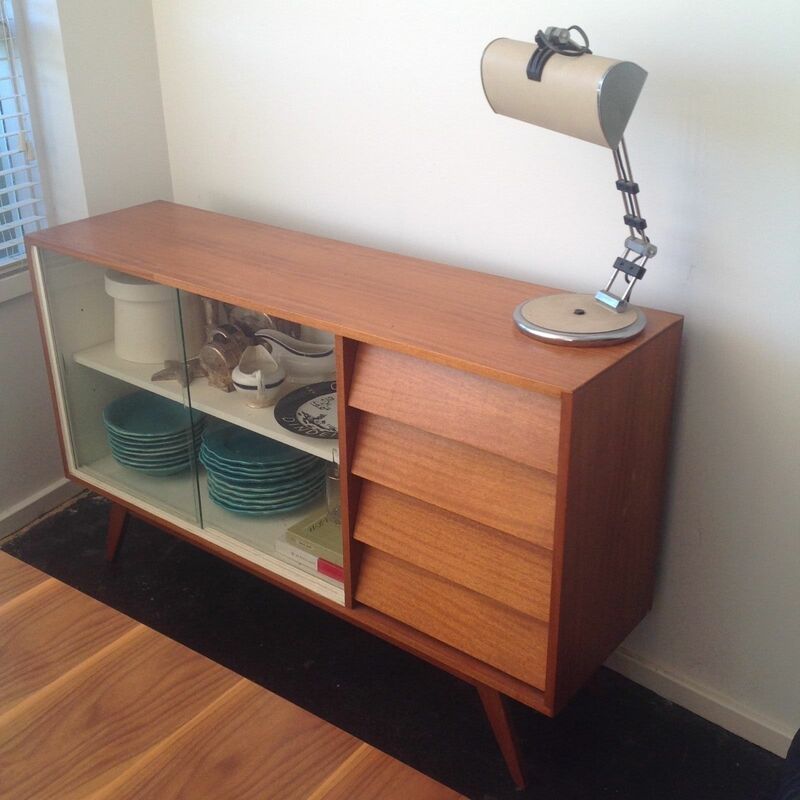 To find, search eBay for – 1950’s Australian Classic Sideboard. Goodluck.